Shake Your Pom Pom, Shake Your Pom Pom! 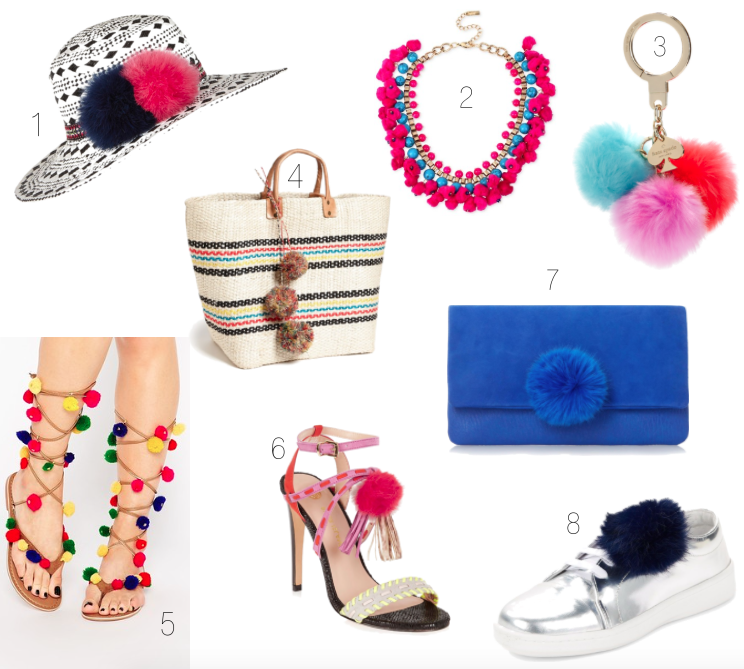 As many of you know, pom pom bag charms have been a huge trend these past couple of seasons and I personally love them, well, perhaps I'm a tad bit obsessed, haha! I have a few that I like to switch out to create different color contrasts and vibes to both my bag and overall outfit. They add such a cute touch and a little personality, which is what I really love about them! Now, my love has carried over to other pieces, such as shoes! I just recently purchased these pom pom sandals, which I'm extremely excited to wear this spring and summer with shorts, skirts and dresses! I just have to remember not to leave them out because my cat will definitely turn them into his new toy (if you've watched my 'How to Take Care of Your Jewelry' video, you know how much of menace he can be!) I also love the pom poms look on sneakers! I was so bummed when these sold out in my size because I think they really add more of a trendy and stylish element to the whole classic tee, jeans and sneakers look. Are you loving the trend?! Thanks so much for stopping by, my beautiful friends, and I hope your day is as fabulous as YOU! Next: How to Size up or Down for Your Perfect Fit! Previous: Cut it Out!